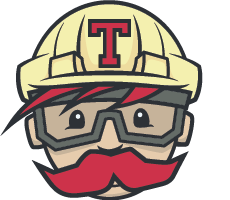 Travis CI, the popular Berlin-based open-source continuous integration service, has been acquired by Idera, a company that offers a number of SQL database management and administration tools for both on-premises and cloud applications. The move comes at a time when other continuous integration services, including the likes of Circle CI, seem to be taking market share away from Travis CI. Idera clearly wants to move into the DevOps business, and continuous integration is obviously a major building block. This still feels like a bit of an odd acquisition, given that Idera isn’t exactly known for being on the leading edge of today’s technology (if it’s known at all). But Travis CI also brings 700,000 users to Idera, and customers like IBM and Zendesk, so while we don’t know the cost of the acquisition, this is a big deal in the CI ecosystem. That’s pretty much what all founders write (or what the acquiring company’s PR team writes for them), so we’ll have to see how Idera will steer Travis CI going forward.